Reema is just 25. However she has been noticing in mirror that her eyes are looking puffier and her complexion is not as flawless as it was in early 20s. Aranya is 37. Her face has pigmentation spots scattered all over forehead and cheeks. She wants radiance back on her face. Sahiba is 43. She has started noticing deepening of fine lines all around her eyes and lips. Renuka celebrated her 54th birthday a couple of months back. She is tired of seeing a blotchy, puffy, lined face in the mirror day in day out. Reema, Aranya, Sahiba and Renuka – all these ladies at various age milestones are actually struck by the same and much dreaded phenomenon of aging that gradually creeps up leaving you looking older, duller and more tired. So, is it possible to add more candles to your birthday cake with passing years without adding signs of aging on your skin? Fortunately, yes. Aging may be the truth of life but aging of skin doesn’t have to be. 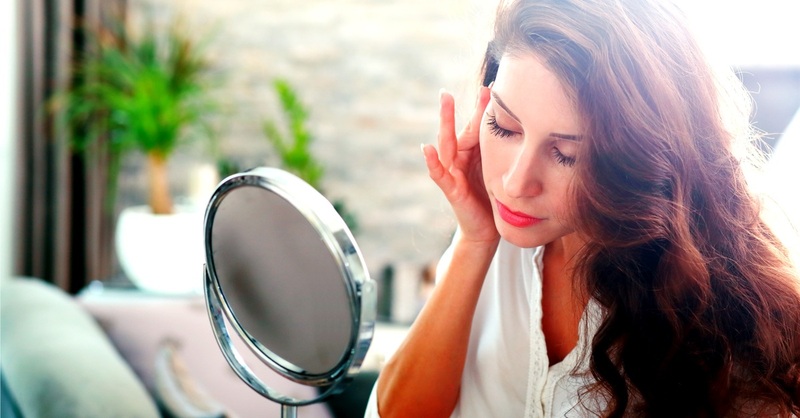 You can actually delay signs of aging from creeping up on your face. All you need is some discipline and the right kind of anti-aging products. Here’s a look at the 4 major signs of aging & tips on how to keep them away. Eyes may or may not be the window to the soul but these are certainly the window to signs of aging. The skin around the eyes is really delicate, prone to losing moisture and that’s why signs of aging strike double quick in this region. 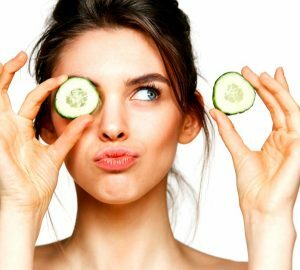 Eye bags, puffiness, dark circles, fine lines (also called crow’s feet), by your mid-20s all or some of these start appearing. How to tackle: First of all, get your 8 hours of beauty sleep every night. Second, check over-exposure to cellphones and computer screens. Do some simple stretches and face exercises every day. And most importantly, use a quality under eye gel to nourish and hydrate your delicate skin. Make sure that your chosen products are powered only and only with clinically proven botanical actives like Kojic Acid, Haluronic Acid and Hydroxycinnamic Acid. We recommend WOW Under Eye & Facial Gel, which gives you wonderful results within a few minutes and the positive effect lasts up to hours and hours after usage. As you age, your body starts losing collagen protein that gives your skin its smoothness and suppleness. This reflects in fine lines that deepen to become wrinkles. As you know, loss of suppleness, smoothness and firmness of skin make your face look saggy, baggy and old. How to tackle: Follow a dedicated cleansing-toning-moisturizing routine and keep your skin well hydrated. Apply specialized anti-aging serums and creams that come powered with clinically proven anti-aging botanical actives like Tamarind Extract, Liquorice, Hydrolyzed Collagen, Aloe Juice, Shea Butter And Hyaluronic Acid etc. We recommend using WOW Ultimate Anti Wrinkle Serum, that contain nature’s most potent anti-aging botanical actives for stopping fine lines and wrinkles in their tracks. Age spots and pigmentation are linked to aging skin and sun exposure. These show up as small patches of darker skin on your face. To tackle age spots and pigmentation, limit your exposure to sun and wear sunscreen whenever you step out. Use quality anti-aging products with natural sunscreen and skin lightening bioactives like Liquorice Extract, Beetroot Extract and Kojic Acid. How to tackle: We recommend using WOW Anti Aging Cream that contains nature’s most potent anti-pigmentation botanical actives for rejuvenating your skin and stopping fine lines and wrinkles in their tracks. It is a sad fact that as we age, our skin starts losing its radiance and glow. Brightness fades and dullness takes its place making you look older and less attractive. Fortunately, dullness of skin can be reversed with the right regimen and products. How to tackle: Start a dedicated cleansing-toning-moisturizing routine and stick to it. Be sure to use a good toner, or we recommend going natural by making your own Apple Cider Vinegar Toner. All you have to do is pour 1 part Apple Cider Vinegar into a glass jar with 2 parts of filtered water. Shake well to combine the mixture and apply this toner to clean skin using a cotton ball. Once the toner has dried, apply your moisturizer. We highly recommend WOW Apple Cider Vinegar which is made from best quality Himalayan apples in a hygienic facility and comes to you pure, natural, unpasteurized and unfiltered. Every single anti-aging product you use should be guaranteed free of parabens, sulphates, and mineral oils. These dry up your skin, clog pores and cause hormonal imbalances that further worsen signs of aging. We recommend WOW products that are not only powered with the most premium, pure and clinically proven anti-aging bioactives, these are also guaranteed free of parabens, sulphates, and mineral oils.